The village of Silvermines, Co. Tipperary, is surrounded by unremediated mining works that have poisoned cattle and watercourses. This toxicity prevented the local community from accessing funds to create a much-desired tourism economy. Over a period of four years, a history-from-below was elicited through a rich and transparent process of dialogue with the local community, which resulted in an agreed set of histories and counter-histories. 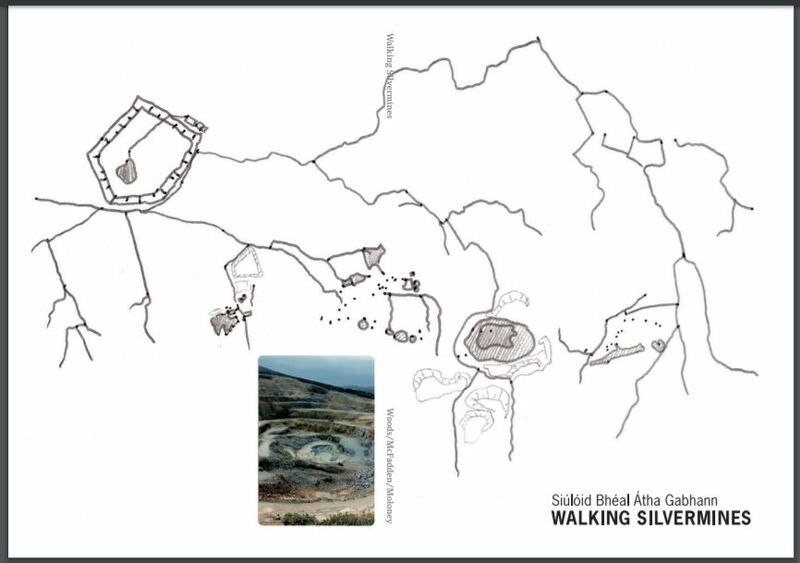 Gathered as an online application and a printable guidebook which can be sold by anyone in the area for a price of their choosing, Walking Silvermines is both a resource and a critical examination of the construction of public narratives - by whom and for whom? To engage a community of place in a conversation about their desire to publicly narrate a history of mining in their area. To elicit a history-from-below, challenging the idea of a single or dominant historical narrative. To render visible a set of global connections between a small rural place and the global infrastructure of mining economies. To generate a useful resource in the form of a piece of virtual tourism infrastructure which can be used to develop a local tourism economy. Creates a public space for the production and contestation of public histories. By drawing less prominent voices into the development and production process, the work empowers individuals and forms a collective resource. Functions as an archive for historical and socio-political materials gathered by the community. Enables the local community to seek additional resources and funding for further projects.The open access guide, which can be sold for any price, has been downloaded 137 times so far. The one tourism accommodation business in the village was regularly downloading and selling the guide, and the local publican has some copies available in the bar. 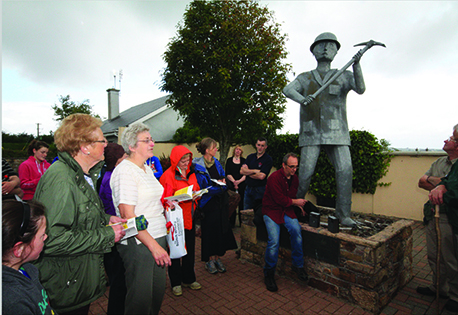 The walk was included for several years as part of the 'Walks of Ireland' website, an official walking tourism promotion initiative. The project was handed over to the co-producers, who choose how to maintain it, or whether to maintain it. The initiators consciously did not maintain any kind of overseer role in relation to how the village uses the project.